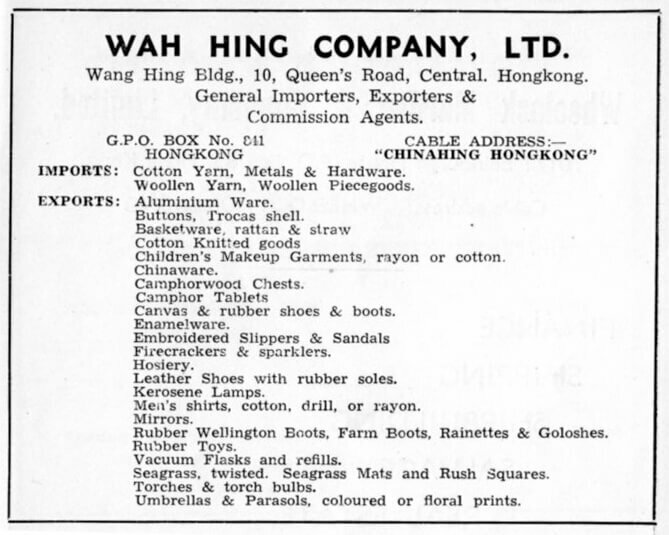 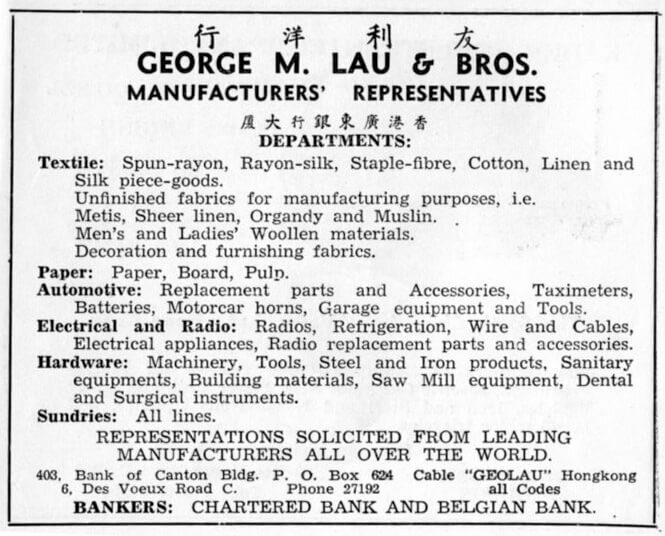 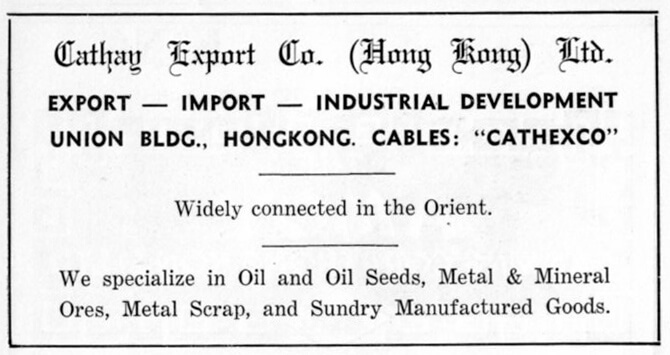 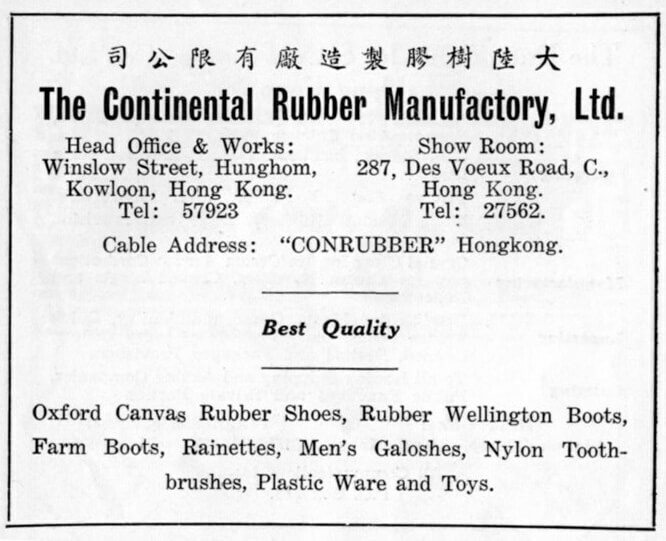 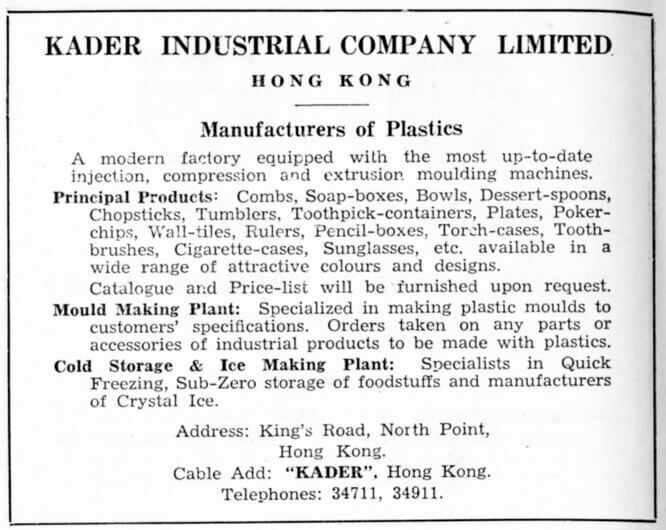 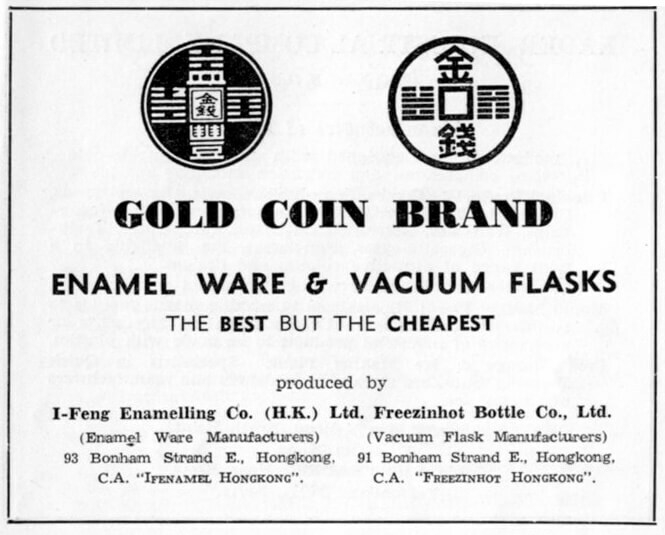 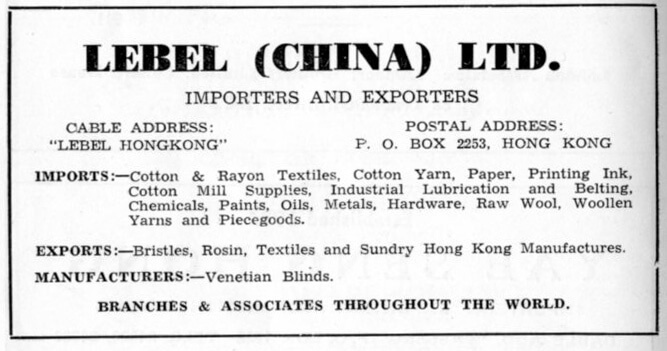 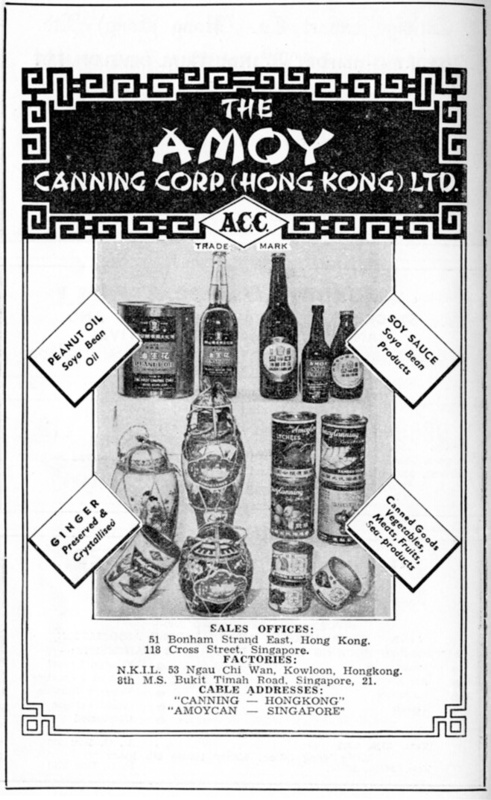 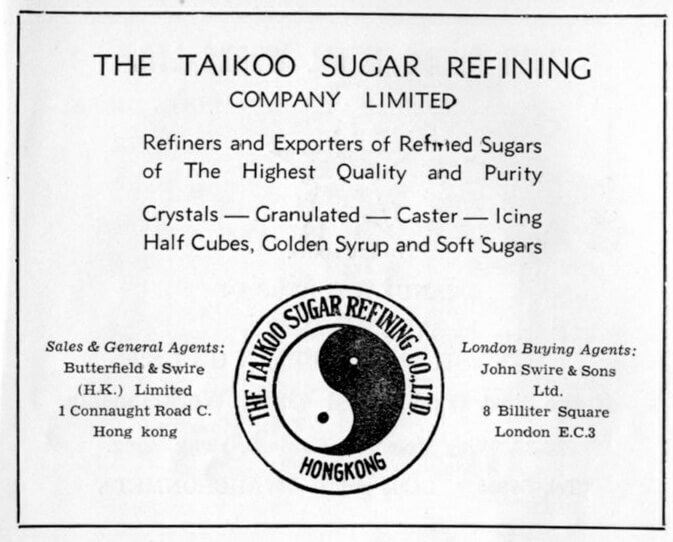 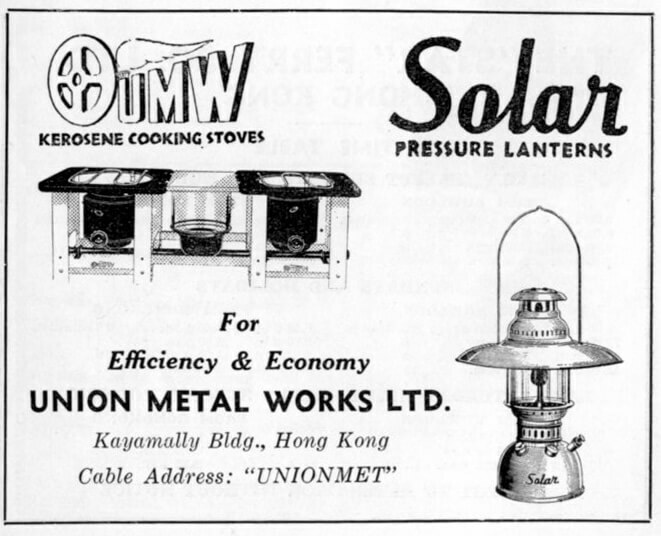 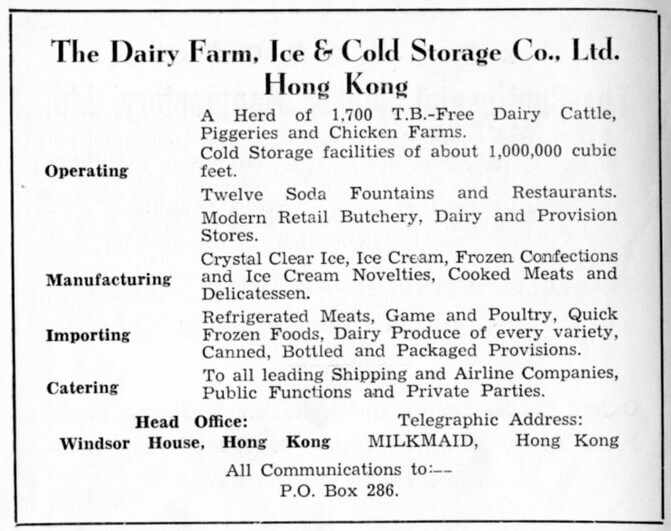 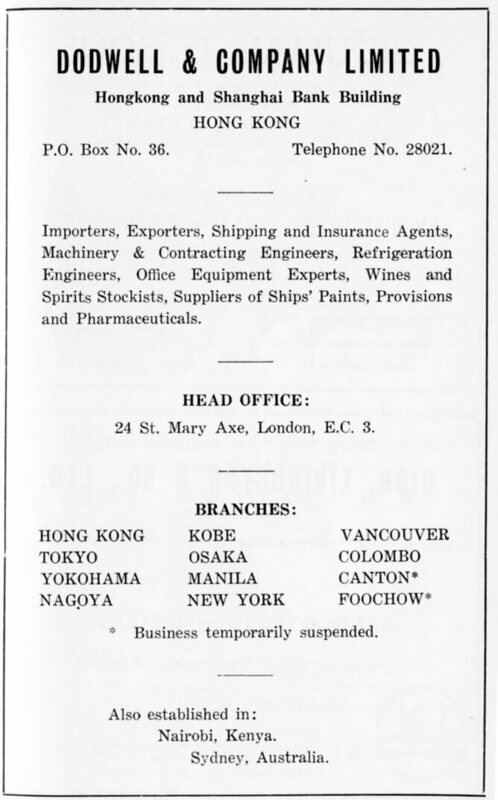 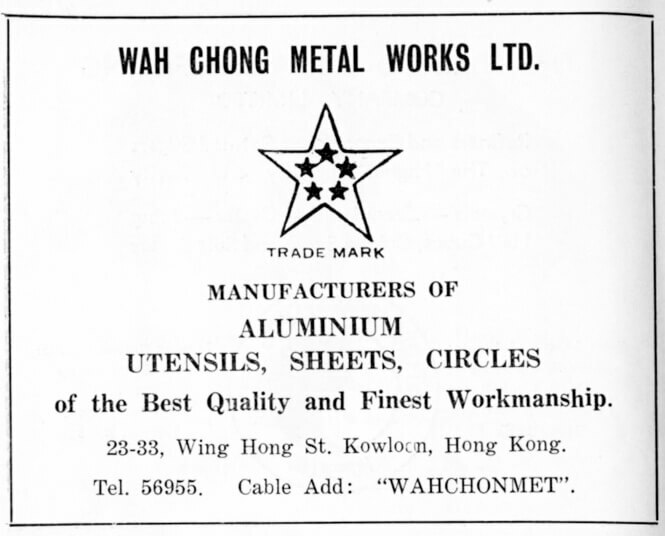 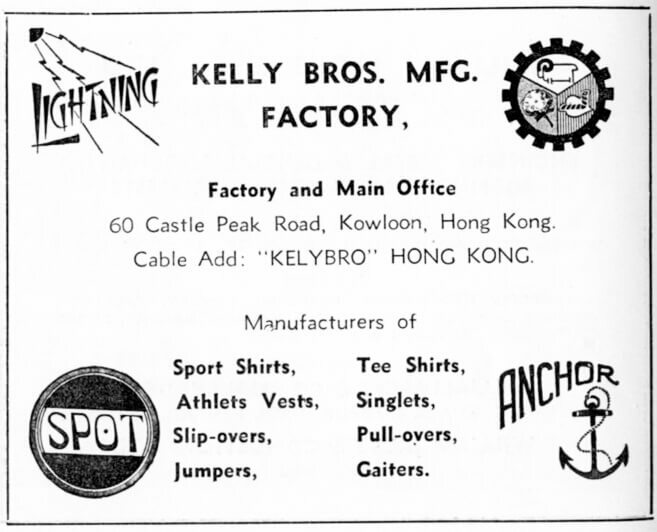 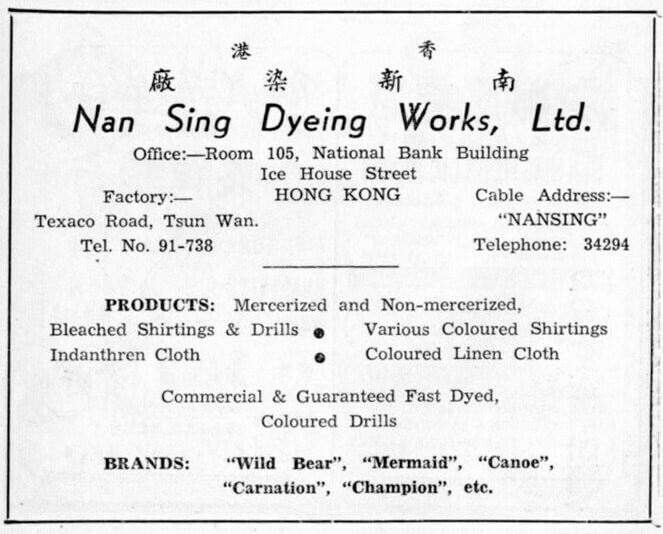 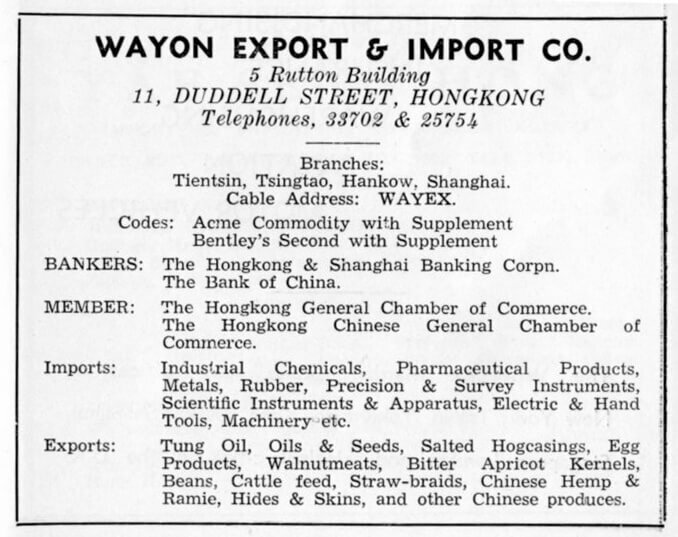 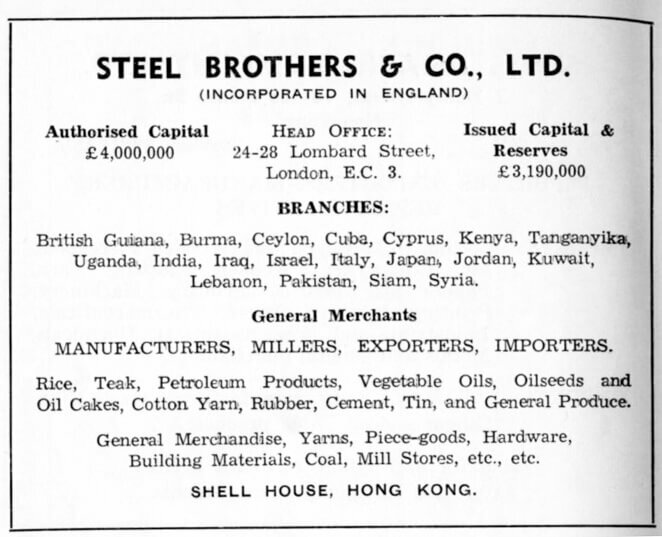 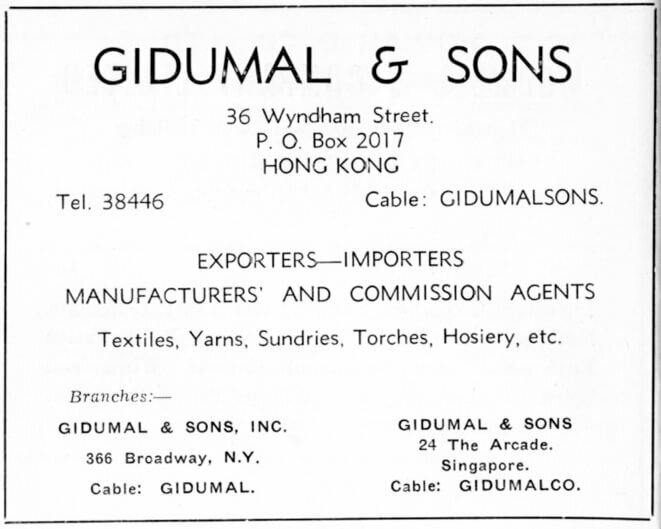 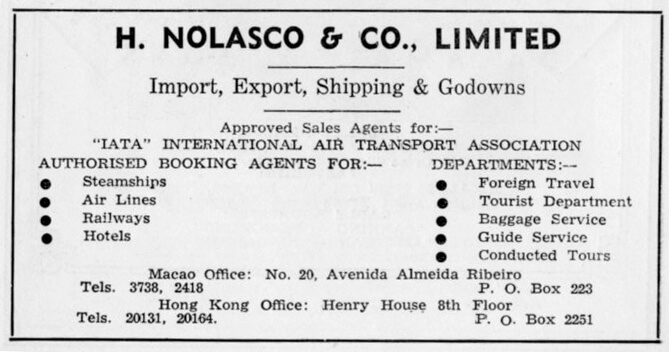 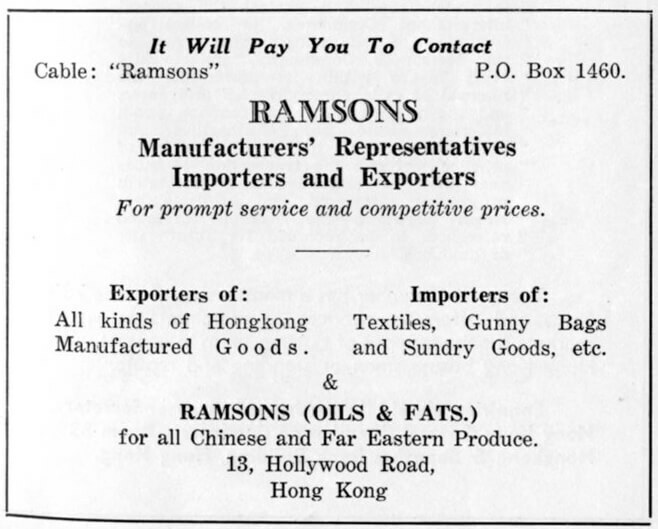 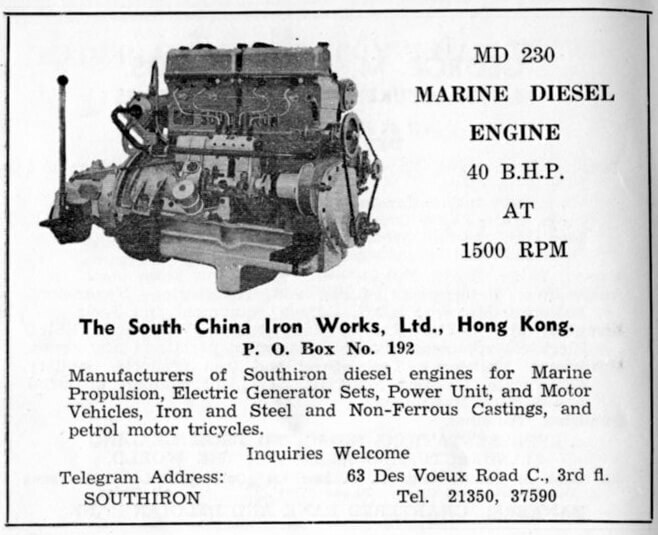 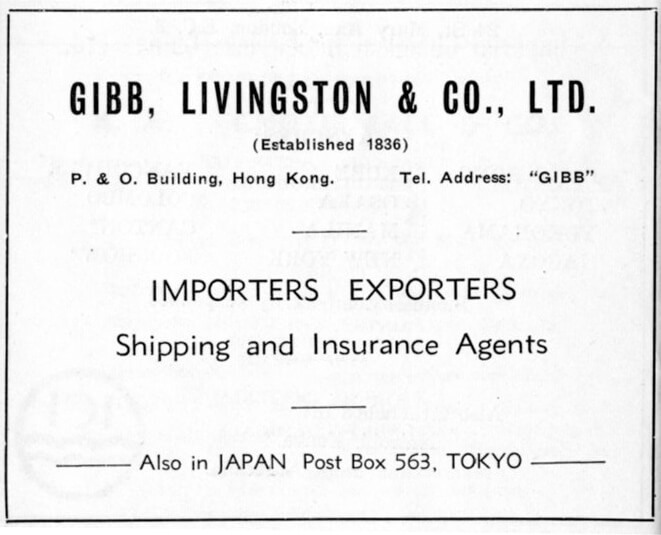 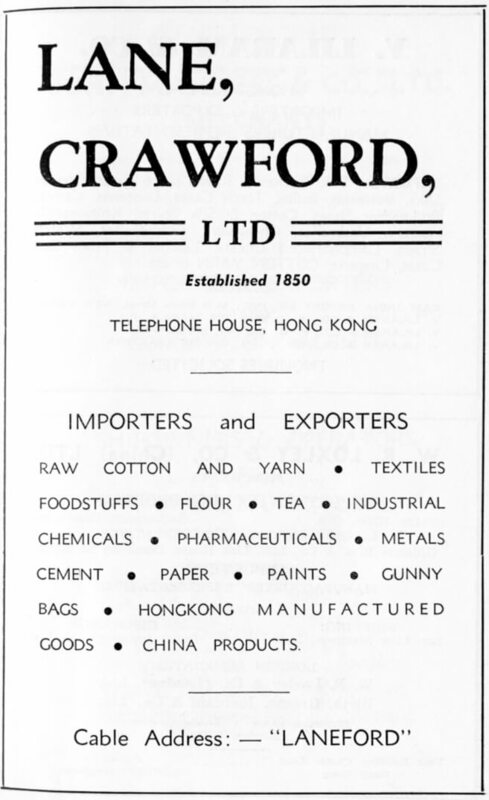 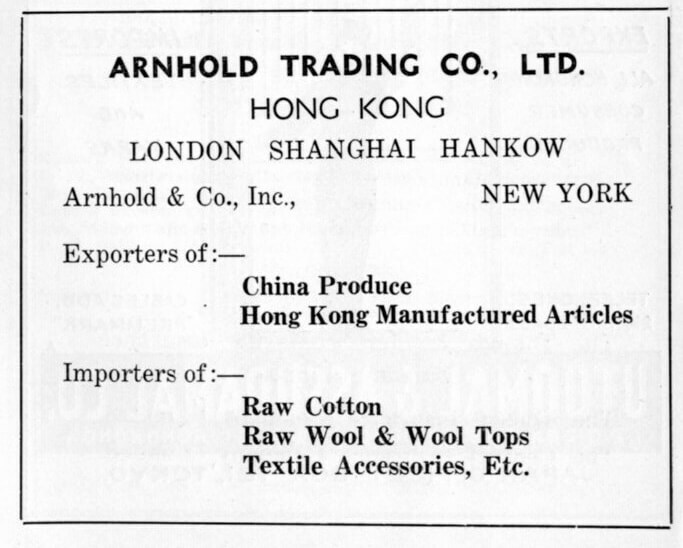 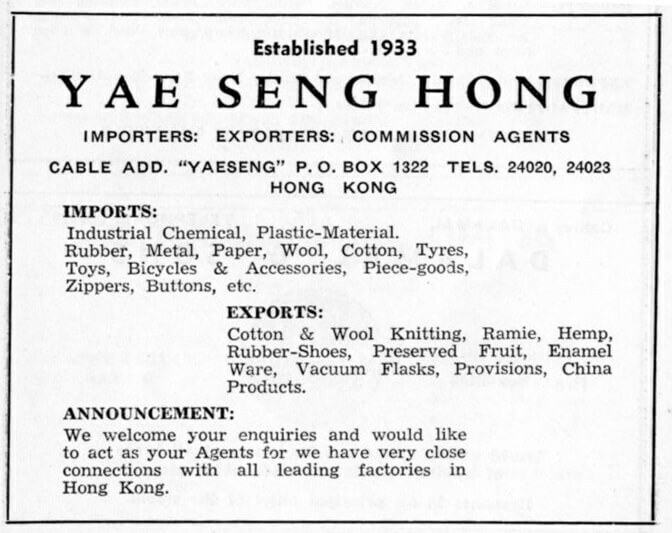 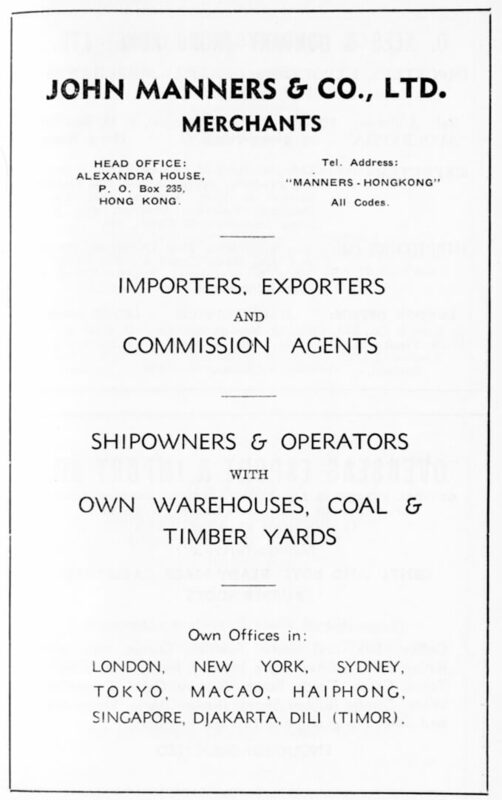 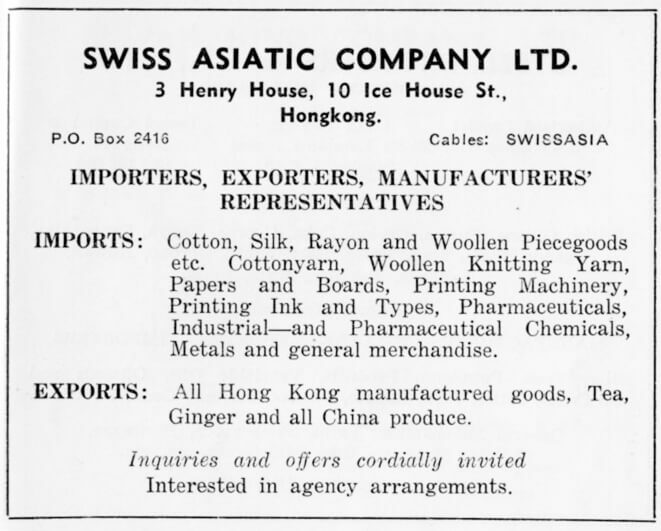 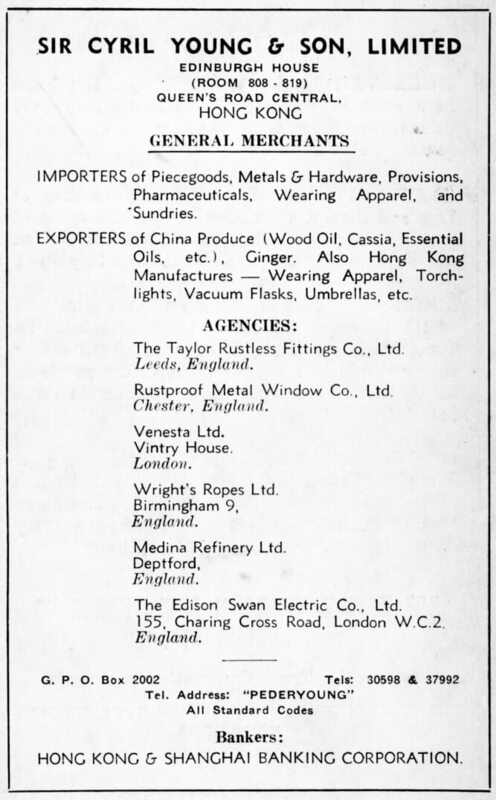 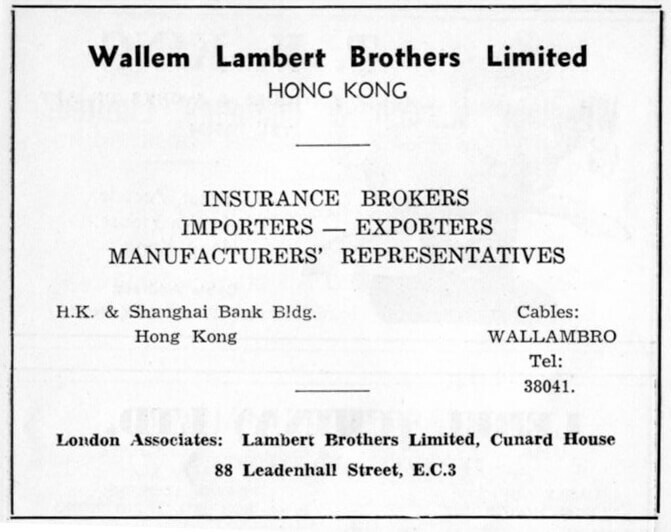 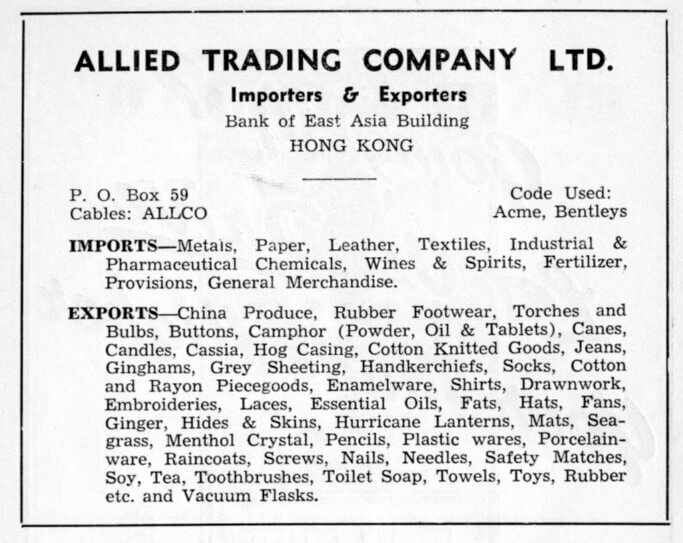 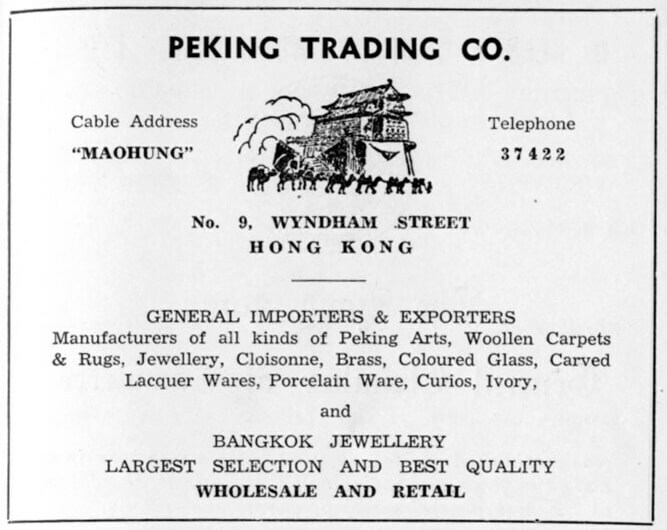 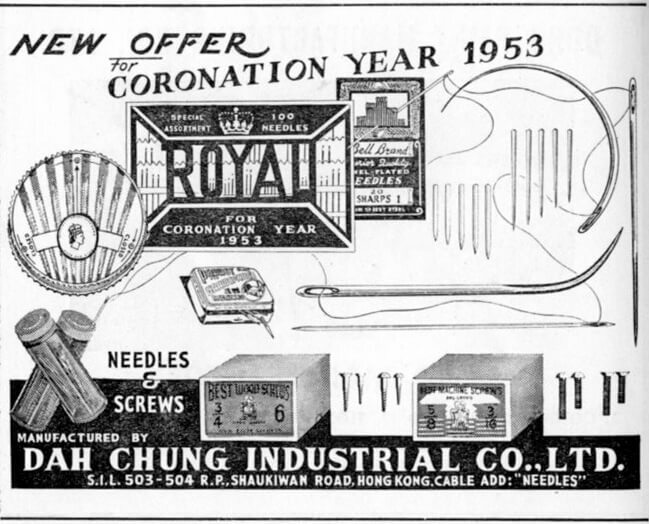 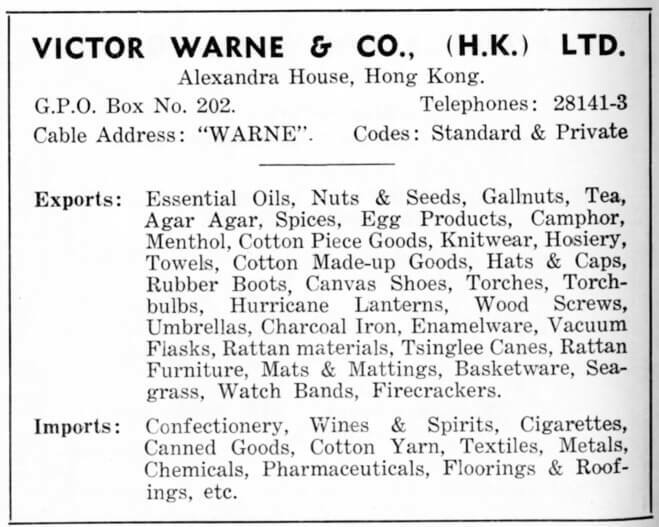 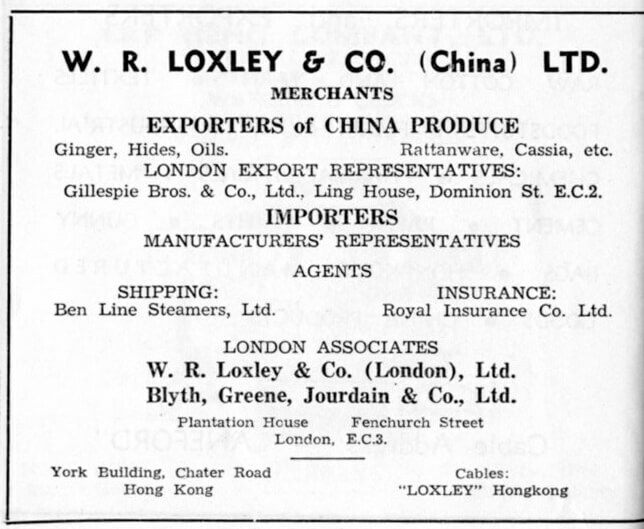 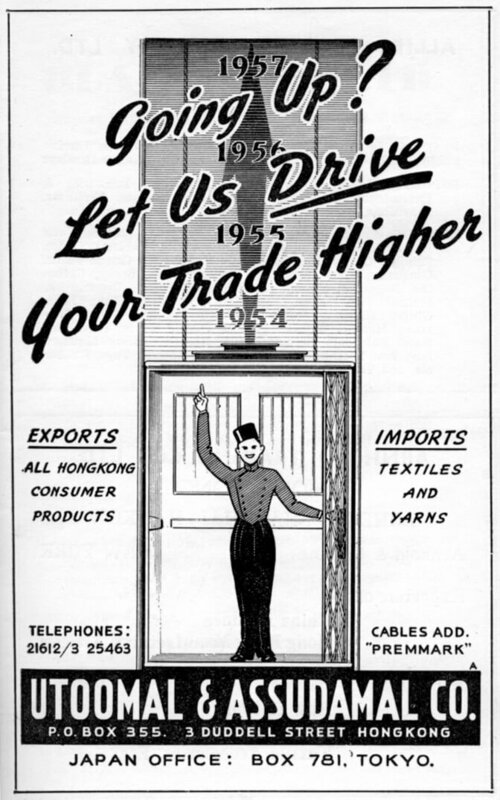 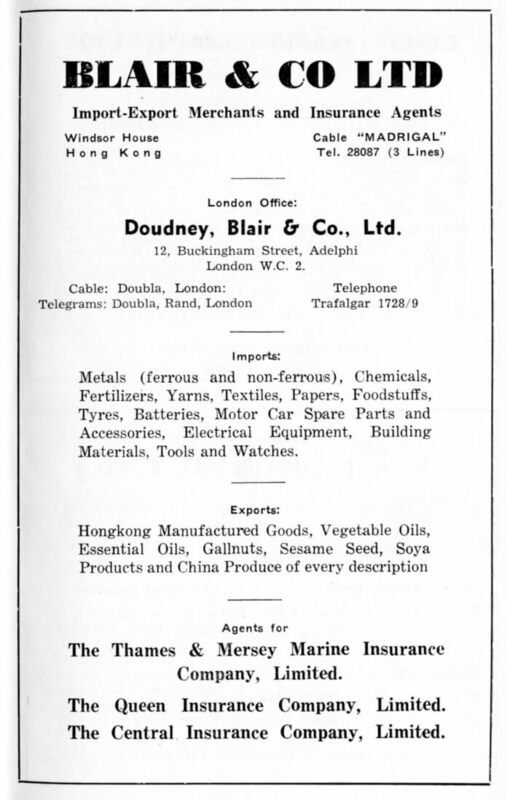 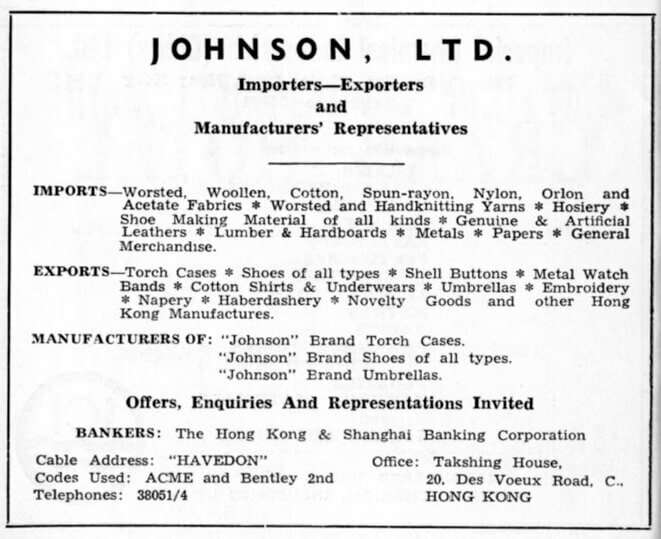 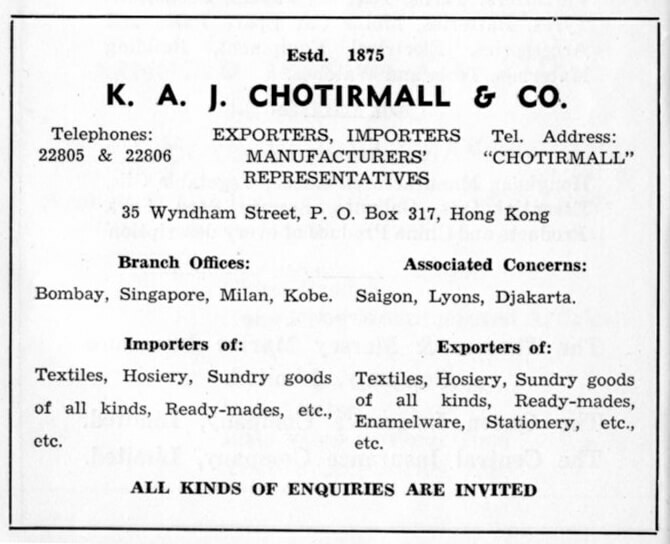 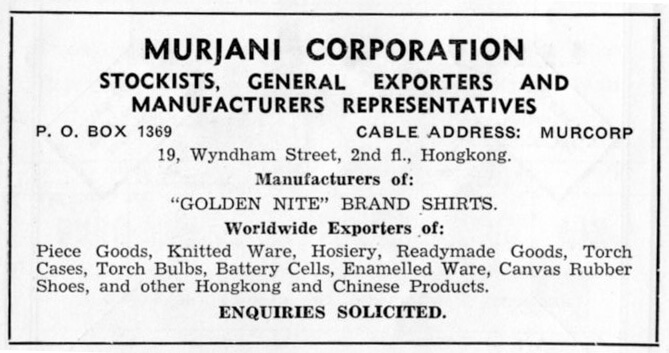 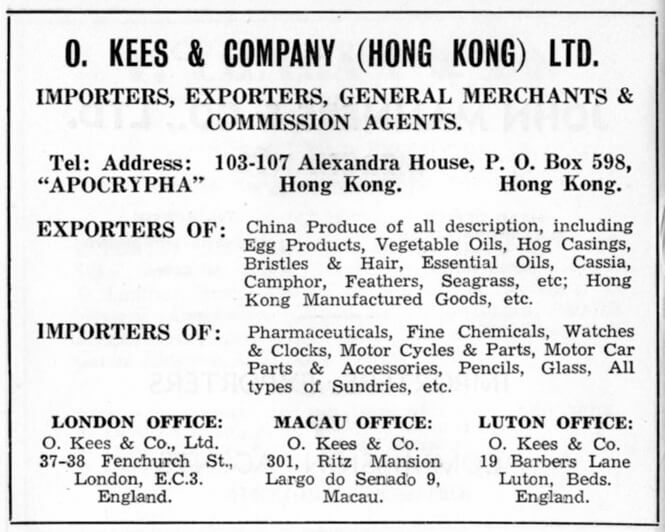 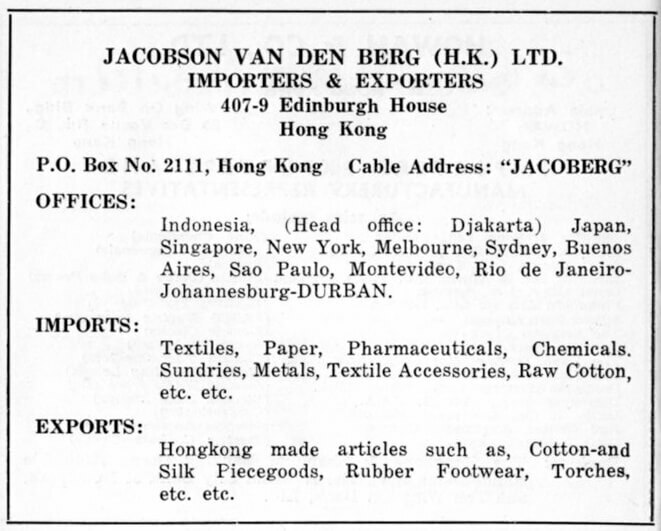 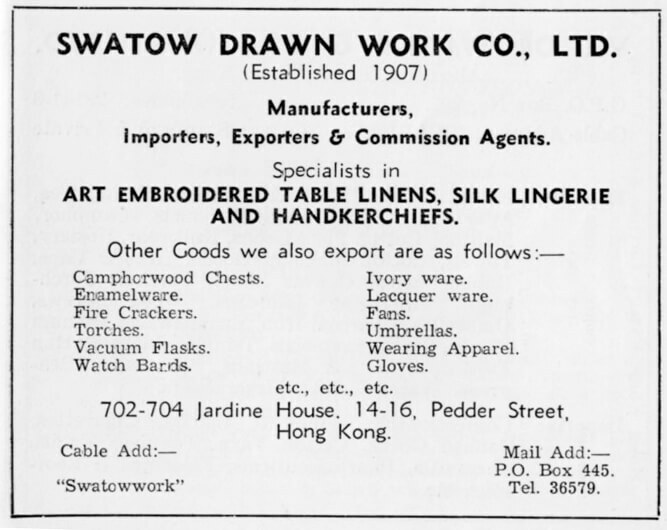 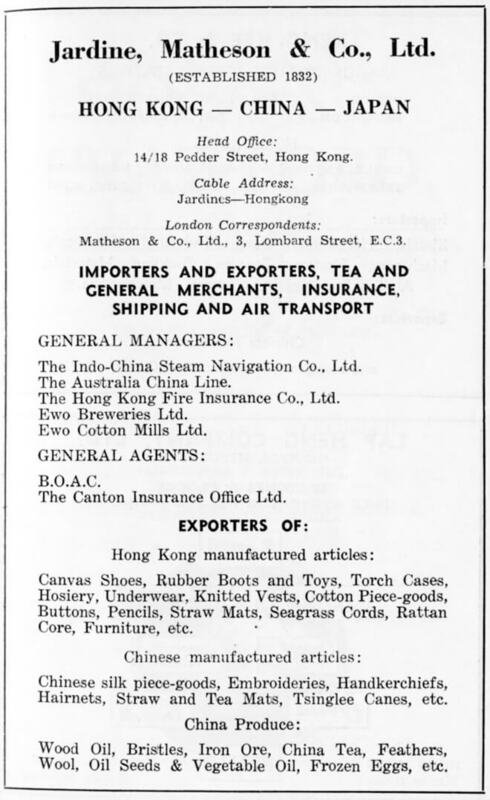 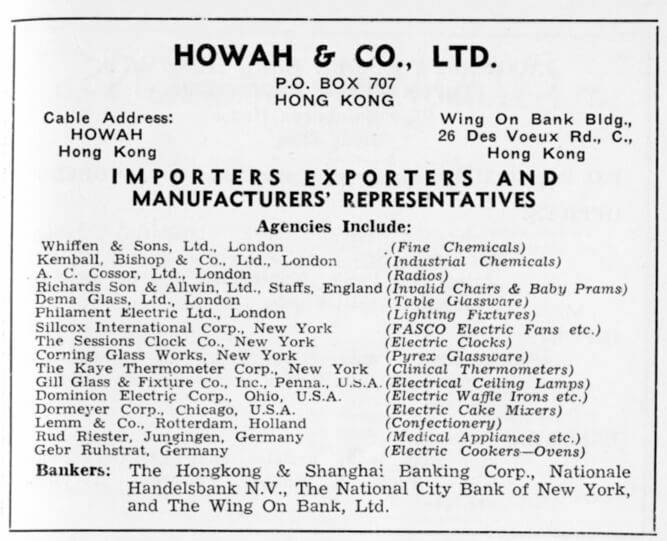 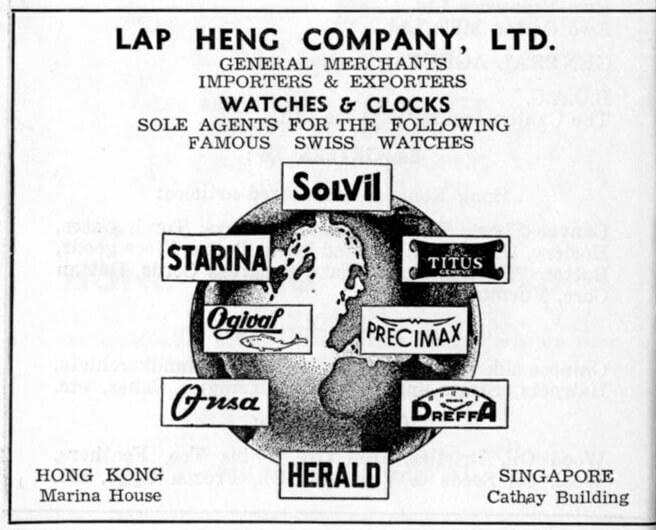 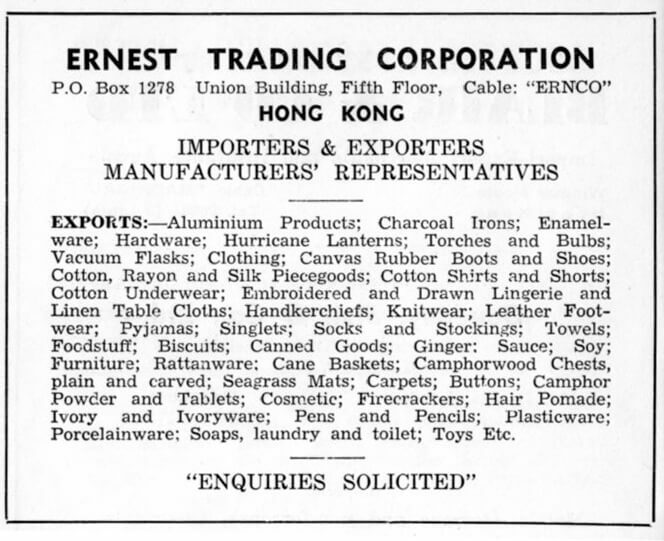 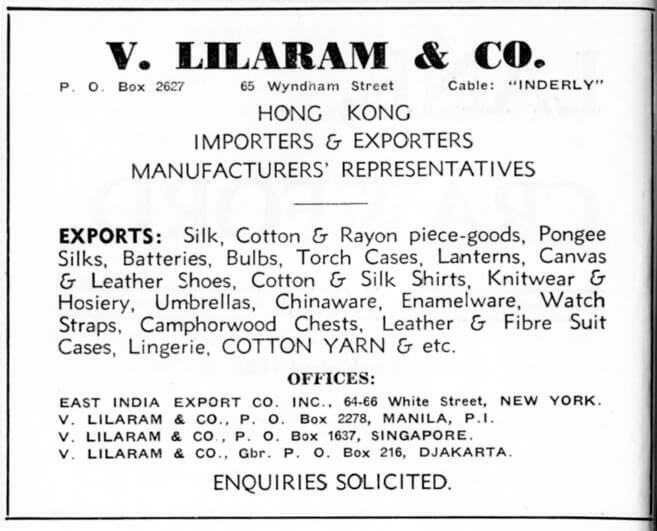 IDJ has sent the following trade adverts from 1953 for Hong Kong importers and exporters/buying and selling agents. 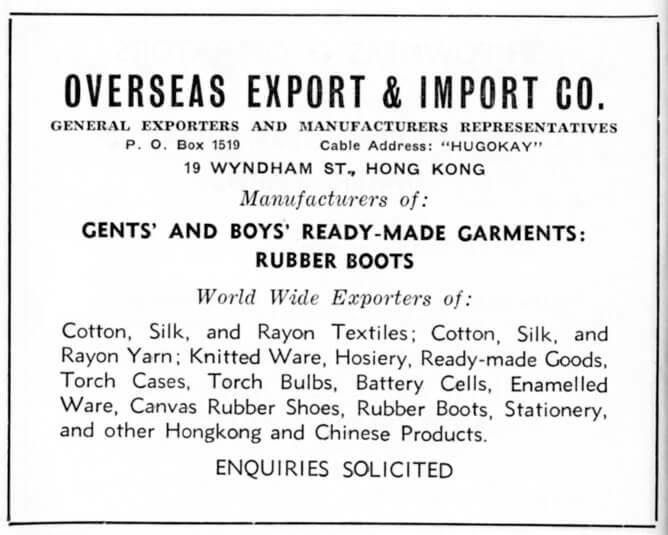 Included are also companies who are advertising their own products. 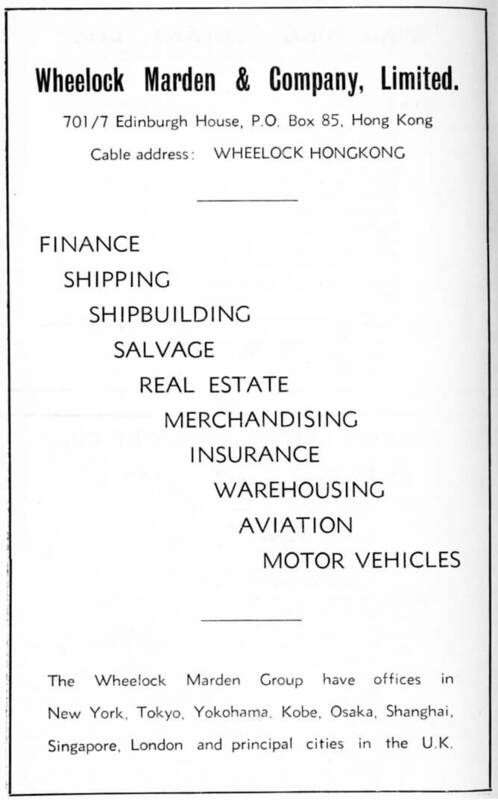 As information comes in each will be given their own article. 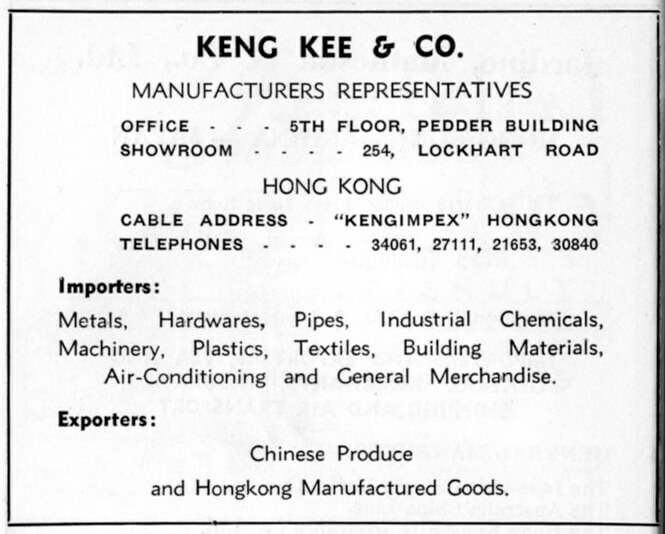 Any related Inddhk articles are linked under the company name. 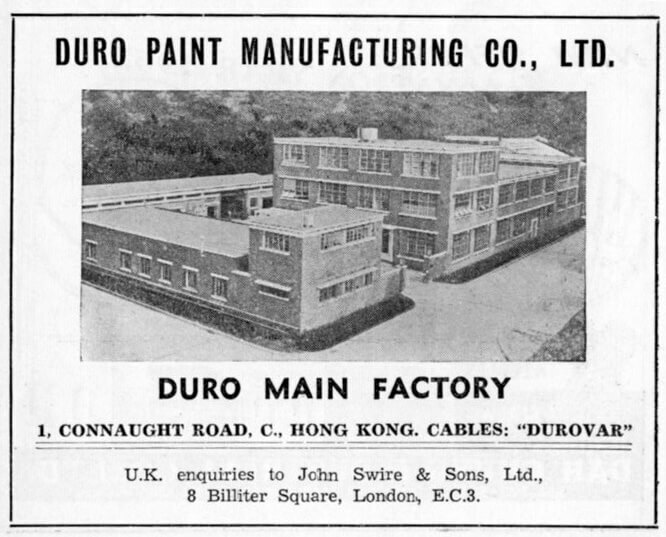 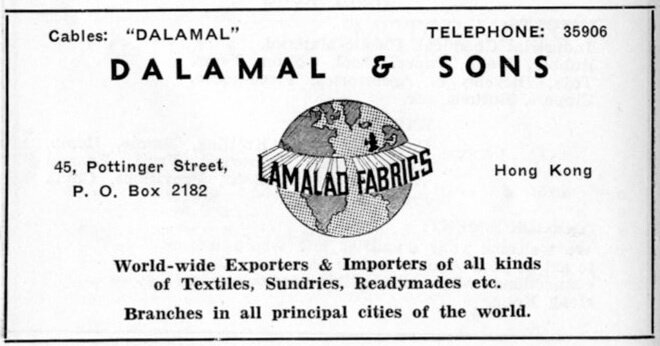 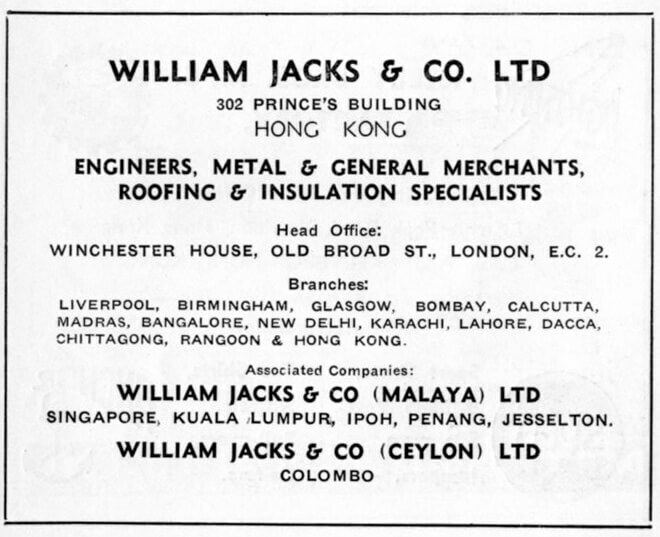 Incorporated 13th September 1951. 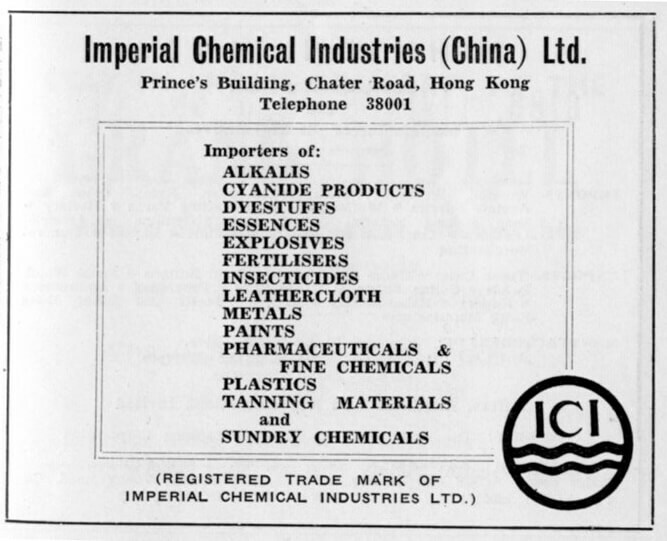 Dissolved 17th November 1973. 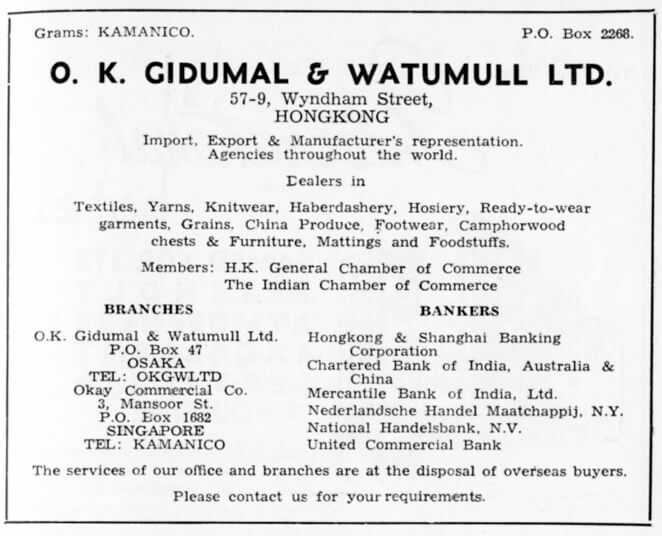 This article was first posted on 13th July 2015.